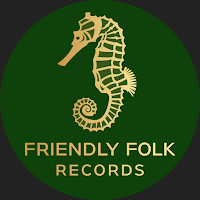 Friendly Folk Records proudly presents Greenrose Faire, Riders in the Night, the fourth studio album of original works by Greenrose Faire. Album features new singles, Never Walk Alone, (2018) and Cold Winds Are Rising (2017). You can order Riders in the Night on all worldwide digital platforms HERE! Naturally, you can order directly from the webshop of Greenrose Faire! Riders in the Night, has all the well-orchestrated upbeat tempos and melodic ballads that we have come to expect from Greenrose Faire. What sets this album apart from their previous endeavors: (Beggars and Thieves, Neverending Journey, My Home Is Where My Heart Is, Feed The Flames, and compilation-Decades of Songs and Stories) is the storyline interwoven from first track to last. With lyrics that stress value of friendship and solidarity in a troubled world: “Riders in the night, my friends…I tell you that together we are so much stronger”; to lyrics that give hope and inspiration: “Imagine there's someone who's guiding your way, a wisdom as ancient as the sky. Who came before us have passed on the flame, and we are the children of that light.” The music of Greenrose Faire brings a message of love and acceptance for all. Their unique style and sound crosses over genre borders to appeal to music lovers of all ages. Greenrose Faire plays rousing Celtic folk rock with head-bobbing, toe-tapping rock feel. The Finnish sextet meshes mandolins and violin with rock drums and bass and symphonic synths, and spikes the rollicking attitude with the slightly ominous overtones of Finnish melancholy. Greenrose Faire sounds lively and modern but tugs at the nostalgia strings for the long-gone days of yore. The band has great fun on stage, and have played everywhere from corner pubs to concert halls; from intimate weddings to international festivals. The band have made European appearances in The Netherlands (2015, 2016, 2018) at Elfia Festival, and have performed at many festivals and stages in Finland. Greenrose Faire also host an annual Medieval Folk Festival in their hometown, Tampere, Finland.